Get your wet dry obstacle course here! Looking to mix things up with a really awesome wet dry obstacle course and slide combination. 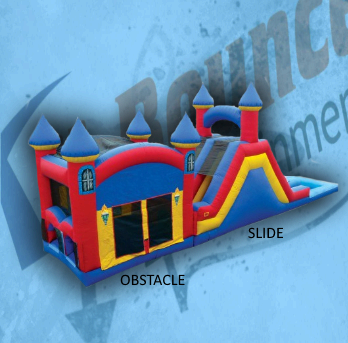 Take a look at this large scale bounce house, climbing wall, and wet/dry slide. This is great for kids and parents of all ages. Also makes a good addition to any church, community, and school event.